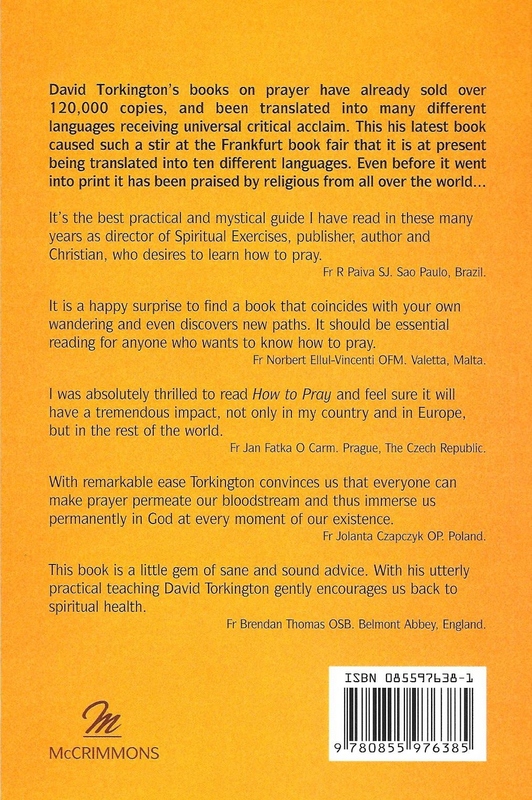 This book was commissioned by the Carmelite publishing house in Prague as a pocket book sized introduction to prayer. In forty chapters of no more than four hundred words each, this incredible little work introduces the reader to the essential teaching on prayer as detailed in the Christian mystical tradition from the beginning, to the works of St Teresa of Avila and St John of the Cross and beyond. It is not just a theoretical work, but it teaches how to start praying – beginning now! In the words of Fr Brendon Thomas OSB- -‘This book is a little gem of sane and sound advice. No wonder it has already been translated into 12 different languages. Amazon.co.uk carries used, second-hand copies of “How to Pray”. If you would like to purchase a new version, please click here to contact David directly. Having read and re-read the sacred texts its time to reflect . Pour over them again and again, ruminate on them, as St Augustine would say, allow the inner meaning of every word to seep deep down into the very marrow of your being so that their dynamic inpact can register with effect. Now in order to facilitate the use of this profound meditation some people find it helpful to recreate the scene in which the sacred words were first spoken in their imaginations. Let’s suppose that you’ve chosen to meditate on those profound words of Jesus at the Last Supper. Begin by setting the scene in your imagination. Picture the Apostles preparing the tables, see Christ coming into the room, watch the way he moves, look into his face when he speaks, then mull over his every word, trying to penetrate there inner meaning. The same sort of scene setting could be used to build up the atmosphere before meditating on other Gospel texts. The Passion of Christ, for instance, would lend itself to this method of praying. Don’t just think of what Christ went through in your mind, go back in your imagination and place yourself in the event. You are amongst the soldiers at the scourging, one of the crowd during the carrying of the cross, an onlooker at the actual Crucifixion. You see everything as it happens, you open your ears and hear what is said and then you open your mouth and begin to pray. Although this approach does not appeal to everybody nobody should be put off because it can lead to an emotional response. We are not dealing with pious fantasy here but with the most momentous historical events in human history. The word was made flesh precisely so that people of flesh and blood could understand and see God’s love made tangible. Christ’s death was a brutal and painful reality through which the Word, who was made flesh speaks of love in a way that is intelligible to all. To neglect the Passion as a primary source of Christian meditation and prayer is to neglect the most important manifestation of God’s love that ever took place. “We are not blocks, we are not stones, we are not senseless things”, if we cannot eventually respond in kind to such love then there is something wrong with us. The more we penetrate the inner meaning of the sacred text the more we feel moved to react prayerfully with our hearts to what we have assimilated. Real prayer begins now as we start trying to raise our hearts and minds to God, as we respond to the inspired words upon which we have been reflecting. To start with the truths of the faith are to big, too enormous, almost too incredible for us to take in effectively. When I first heard that the stars in the nearest galaxy Andromeda were 2 million light years away I simply could not take it in. The distances were too enormous for my mind to cope with. It’s exactly the same with the truths of our faith, at least to begin with. They are too much for us to cope with, too great for us to take in, it’s as if our minds are paralysed by their transcendent enormity. We simply cannot penetrate or comprehend their meaning. It’s the same with our emotions too, they can only respond to a stimulus of a certain degree of intensity. When I first heard of my mother’s death I didn’t react, it was all too much for my emotions to cope with. It’s the same with the truths of the faith at least to begin with. However with good will and, with genuine and that means continuous effort come what may, things will gradually begin to change for the better. This state of mental paralysis gradually begins to lift. The slow meditation on the sacred texts suddenly begins to bear fruit, the spiritual understanding begins to stir and the emotions are touched and begin to react. What began as rather dry academic knowledge about God changes and begins to strike with an ever-deepening impact. Knowledge begins to turn into love, as the love that God has for us begins to register with effect. Nobody can remain the same when they realise that another loves them. We respond automatically, the emotions are released and we begin to express our love and thanks in return. This is the beginning of real pray that will grow with depth and intensity as the truth of God’s love is brought home time and time again in so many different ways through slowly poring over, digesting and assimilating the sacred texts. As the impact of the Gospel message begins to explode with maximum effect, the believer finds that even the most extravagant words do not sufficiently voice the depth of feeling that they experience welling up from within. In the end the words of thanks praise, adoration and love gives way to silence that says far more than the most potent man-made means of expression. The slow meditative penetration of the texts, now opens out and envelops the whole person as the believer is ever more deeply absorbed into a silent contemplative gaze upon God. The most powerful and poignant expressions of the new relationship with God seem to be emptied of their meaning in face of the reality. All one wants to do is to remain silent and still in the simple loving gaze upon God that has traditionally been called contemplation. It is the fruit of this profound prayer that is in the eyes of St Thomas the perfect preparation for sharing the faith with others. He could have said that we should first meditate and then share the fruits of our meditation with others or pray and share the fruits of prayer with others, but something even more profound is required. We must persevere for long enough in prayer to experience for ourselves something of the love that we are called to share with others in sublime mystical contemplation or we will have little to give. In this contemplation in which the whole person, heart and mind, body and soul is more united than ever before, a subtle change begins to take place. Initially it was through meditating on God’s love, as embodied in the human body of Jesus that had led the believer to contemplation, but now a change gradually begins to take place. Meditating on Gods love as it was embodied in the historical Christ gives way to contemplating His love as it is now, pouring out of the risen Christ, whether the believer realises this or not at the time. The first was generated with God’s grace and human endeavour, the second is a pure gift of God. However, before the gift of contemplation can lead to the full union for which the believer now craves, a purification begins to take place so that the selfish seeker can receive the Selfless Giver without any let or hindrance. This book would be helpful for beginners at personal prayer (and aren’t we all, really? ), for those who find themselves in a spiritual rut, or for those with experience in seeking God’s Face who are ready to go deeper. The chapters are short, which lends itself to devotional reading, but there is enough meat in the content to inspire some hours of meditation. At the end, a short order of morning and evening prayer is included for those of us who need a jump-start into the presence of God. All in all, a magnificent book! David Torkington has a great gift for telling a story. You are gripped by the tale and this makes you want to race ahead to learn how it all ends. But during the unfolding of the story he gives profound insights about prayer, explaining its mysteries in such a clear and succinct way. These passages makes one slow down, read again, ponder, sift and try to make them one’s own. This masterpiece has been compelling reading and I was fascinated by the human story. I was also enriched by the easy way deep truths were explained making the book, not just entertaining, but profoundly instructive. It’s the best practical and mystical guide I have read in these many years as director of Spiritual Exercises, publisher, author and Christian who desires to learn how to pray. I ws absolutely thrilled to read How to Pray and feel sure it will have a tremendous impact, not only in my country and in Europe, but in the rest of the world. It is a happy surprise to find a book that coincides with your own wandering and even discovers new paths. |It should be essential reading for anyone who wants to know how to pray. With remarkable ease Torkington convinces us that everyone can make prayer permeate our bloodstream and thus immerse us permanently in God at every moment of our existence. This little book is a little gem of sane and sound advice. 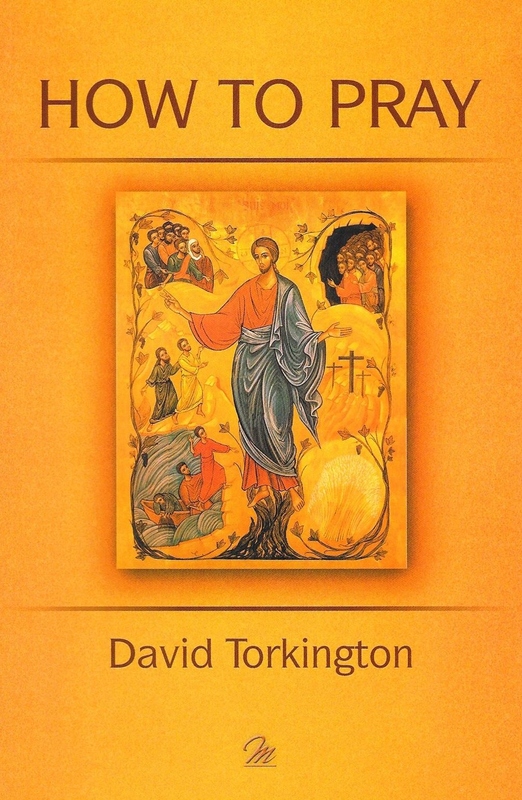 With his utterly practical teaching David Torkington gently encourages us back to spiritual health. Torkington’s views on prayer and spirituality are based on the thoughts of the Desert Fathers, Dom John Chapman, Bernard Basset, SJ, St. Augustine, Martin Buber and others. Torkington is a master of prayer. His engrossing style masks the depth of his practical advice and specifics about many forms of prayer from the traditional to the new.